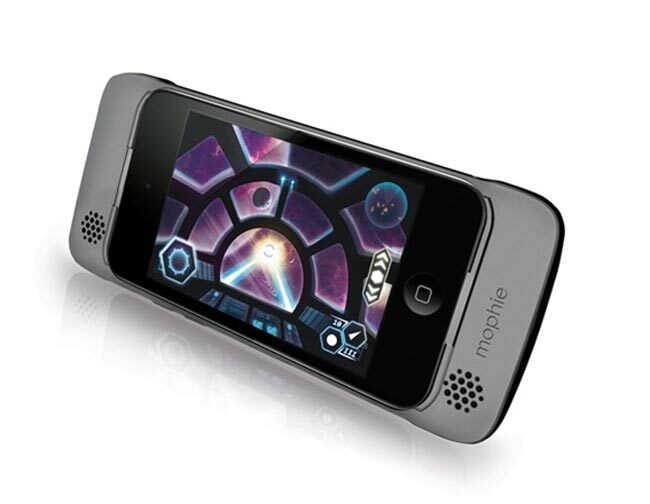 Mophie has launched a new accessory for the iPod Touch, called the Mophie Pulse, it is a gaming grip that is designed to improve your gaming performance on your iPod touch. It also comes with some built in stereo speakers which are designed to offer an improved sound over the iPod Touch’s standard speakers, and it also provides vibration feedback like a console controller. The mophie pulse™ turns your iPod touch 4th Gen into the ultimate gaming device with pulse-pounding stereo sound and bone-shaking game feedback by ViviTouch™ Technology. It’s all built into a textured gaming grip that gives you maximum control for flawless game performance on your iPod Touch. There are no details as yet on when the Mophie Pulse will go on sale or how much it will retail for, you can find out more information over at Mophie.